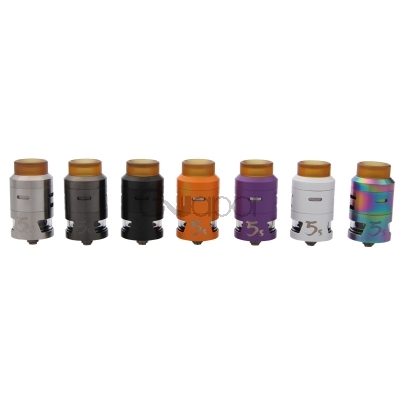 The IJOY RDTA 5S atomizer implements an innovative Central Fill design. It features 2.6ml liquid capacity, when you refill the liquid, you just need to remove the top cap and fill e-juice down or go straight through the wide bore ultem drip tip without remove the top cap. 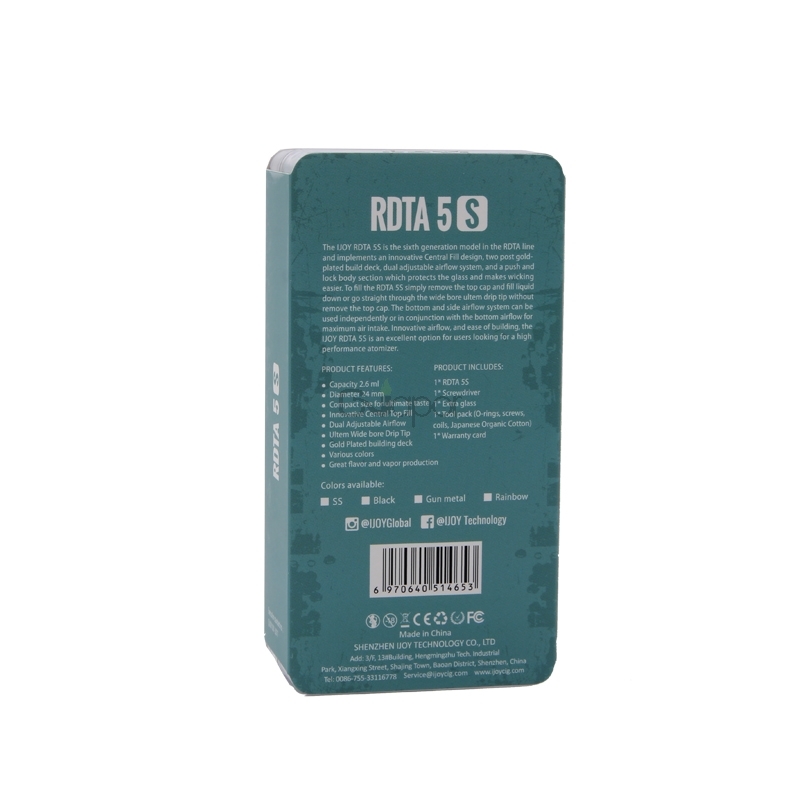 This RDTA also has two post build deck and dual adjustable airflow system. The bottom and side airflow system can be used independently or in conjunction with the bottom airflow for maximum air intake. 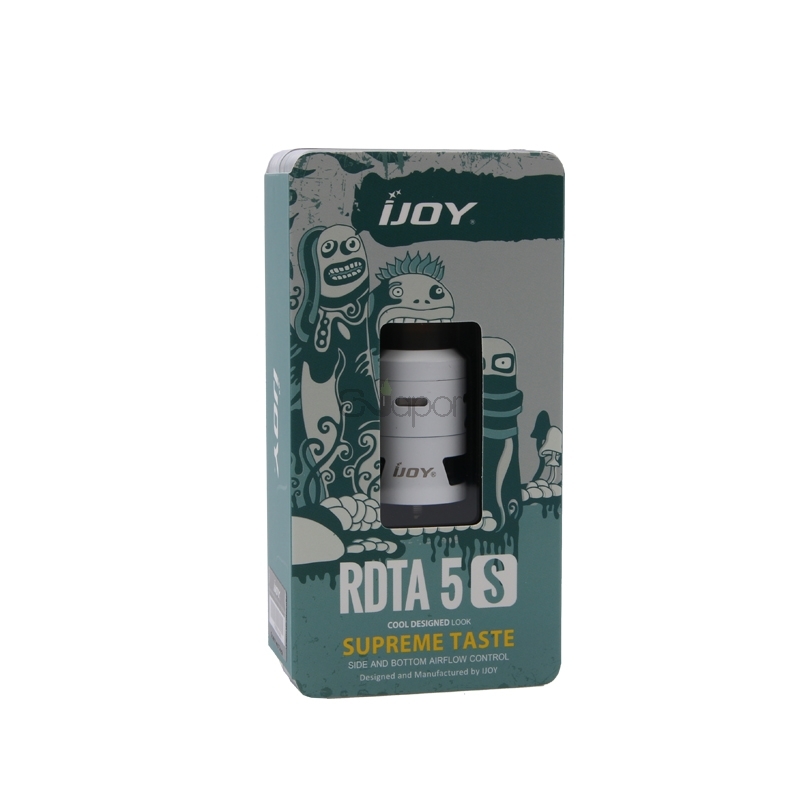 With innovative airflow and ease of building, the IJOY RDTA 5S is a excellent choice for users.